Time and Location: March 20th, at Boise Plaza, 1111 West Jefferson, Room 2NE @ 11:30 AM to 1:00 PM. Summary: Technology has progressed at a breathtaking pace over the past several decades. While technology advancements are generally pervasive, not all industries develop at the same rate or share the same value set. With this comes varying levels of processing, memory and security requirements. While the “Internet of Things” is a trendsetter in its own right, the sheer breadth of its devices and products span all levels of technology maturity. The heterogeneous nature of IoT devices has made security both a large concern and an underrepresented area of development. This presentation give you a feeling of some of the major technological changes underway in the IoT, some examples of security issues that have resulted, and proposed solutions to improve the security of IoT devices. Mr. Dover graduated from Purdue University with a Bachelor of Science in Electrical and Electronics Engineering. Lance began his career at Intel as an ASIC and System Design Engineer. After several years he transitioned into flash memory architecture at Micron with an emphasis on security. Today, Lance has brought his vision of high integrity nonvolatile storage to Micron’s Authenta Flash Memory to better protect the Internet of Things. Presentation Summary: Edward Snowden was the quintessential insider threat that all organizations fear. In this seminar, you will hear the inside story of Snowden’s last few months at NSA, the search for him, and the impact of his actions from his then boss, Steven Bay. We will engage in an interactive discussion on the impacts of Insider Threats, how you can help identify them, and strategies for protecting yourself from the insiders who cause most of your data breaches, but no malicious intent: your employees. By the end of the seminar you will walk away with a better understanding of insider threats, how they impact your organization, and actionable strategies you can take back to your organization. 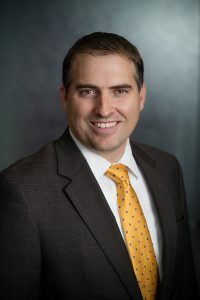 Steven Bay is the Director of Threat Intelligence at Security On-Demand, where he leads a team providing threat intelligence and hunting services. With over 15 years in cybersecurity, his career has spanned government, enterprise and consulting services. For a majority of his career, he served as an Analyst supporting the NSA via the US Air Force and Booz Allen Hamilton. While at Booz Allen, he served as Edward Snowden’s boss just prior to Snowden’s flight from the United States. Following his time supporting the agency, he designed and implemented information security programs for Fortune-500 companies and served as a CISO. He holds an MBA from Thunderbird School of Global Management and an MA in international relations from Webster University.